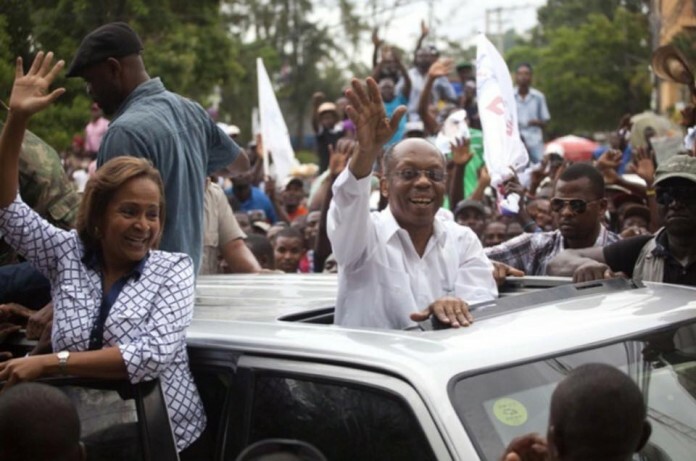 Thousands thronged around the vehicle carrying former President Aristide as he accompanied Lavalas Family presidential candidate Maryse Narcisse on her opening campaign swing in Pétionville on Aug. 29. On Aug. 29, thousands thronged the streets of Pétionville to catch a glimpse of the Lavalas Family (FL) party’s candidate – the one from 16 years ago. Former President Jean-Bertrand Aristide, the FL’s founder and “leader for life” (according to the party’s charter), made a rare appearance in the narrow streets of this tony, small metropolis set in the hills above Port-au-Prince. He was accompanying Dr. Maryse Narcisse, the party’s presidential candidate in the rerun elections scheduled for Oct. 9. The official 45-day campaign season opened on Aug. 23. Aristide was elected president in landslide victories in 1990 and 2000. 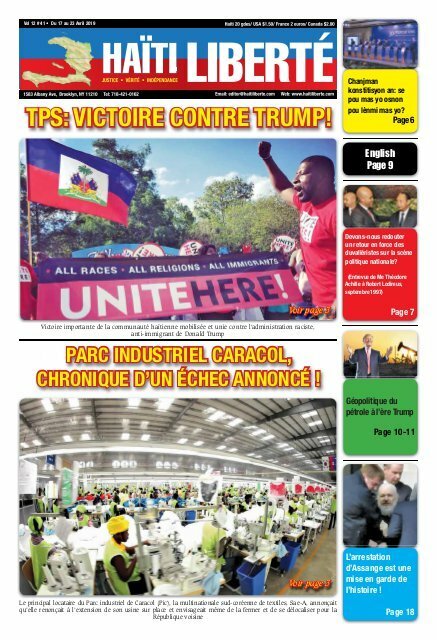 Despite internal splits and makeovers in recent years, the party is hoping his political charisma, legend, and popularity are durable and transferable enough to ensure a Narcisse victory, even if in the Jan. 8, 2017 second round. In the largely discredited Oct. 25, 2015 vote under former President Michel Martelly, Narcisse officially placed fourth with 7% of the vote. Break-away Lavalas candidate, former Sen. Moïse Jean-Charles, who founded a new party called Dessalines’ Children (PD), supposedly won 14% of that vote. Many fear those two candidates will split the vote of Haiti’s Lavalas masses, thereby benefitting one of the other two heavy-weight candidates: Jude Célestin of the Alternative League for Progress and Haitian Emancipation (LAPEH) or Jovenel Moïse of Martelly’s Haitian Bald Headed Party (PHTK), who placed second and first respectively in the now discarded 2015 polling. Aristide, dressed in a white guayabera, stood next to Narcisse in the roof port of a silver SUV which rolled slowly toward Pétionville’s central square, St. Pierre’s Place. They waved and blew kisses to the thousands who lined the sidewalks, balconies, staircases, and roofs along the route. At the central square, Aristide had wanted to get out of the car to greet the police officers and prisoners inside the police headquarters there. He couldn’t due to the size and excitement of the close-pressed crowd. Then, Aristide and Narcisse went to the nearby Kinam Hotel, where they held a press conference. 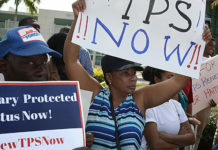 “To protect its citizens after the creation of the city of Pétionville in 1831, Haiti built two forts: Fort Jacques and Fort Alexandre,” Aristide said. “Today we bring the force of dignity to build Fort Dignity, which will allow us to arrive at the appointment with dignity scheduled for Feb. 7, 2017 at the National Palace,” referring to inauguration day. After the press conference, Aristide and Narcisse went back down the Delmas Road with their vehicle enveloped by a large, loud, compact crowd. 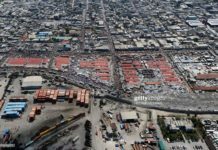 Another FL rally is planned for Sep. 11 at the old military airport in Port-au-Prince where some of Aristide’s public housing apartments were built 13 years ago. In 2015, Aristide accompanied Narcisse only once in a tour of Port-au-Prince’s vast Cité Soleil slum only two days before the election. For the upcoming election, party sources say Aristide will campaign much more extensively with Narcisse. Their next swing will be in the Haitian provinces, which Aristide has not officially visited since returning to Haiti five years ago. 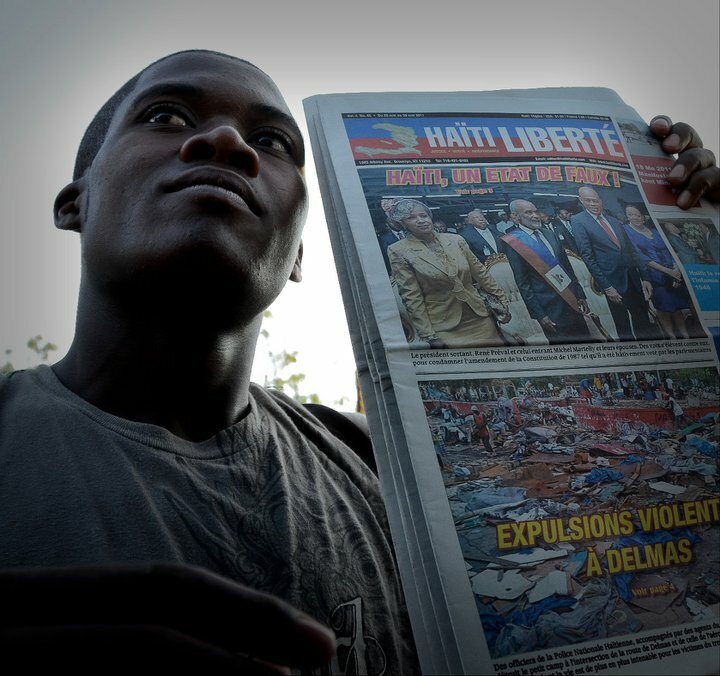 Aristide has rarely left his home in the capital’s Tabarre suburb since returning to Haiti on Mar. 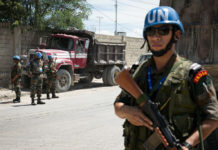 18, 2011 after seven years of exile in the Central African Republic, Jamaica, and South Africa following the U.S.-backed Feb. 29, 2004 coup d’état which deposed him for a second time. Candidate Moïse Jean-Charles, Narcisse’s principal rival for the vote of the Lavalas base, held a large kick-off rally on Aug. 28 in the town of Arcahaie, 40 km northwest of the capital, where the alliance of founding fathers Jean-Jacques Dessalines and Alexandre Pétion was cemented in 1803.